Arena Lviv (Ukrainian: Арена Львів) is a football stadium in Lviv, Ukraine. 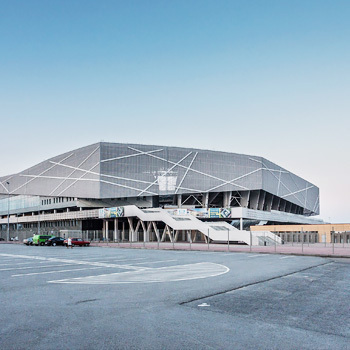 It was one of the eight UEFA Euro 2012 venues, where it hosted three of the group-stage games. According to the official plans, the stadium has a total seating capacity of 34,915.